Showtime boxing put on a great card which featured American heavyweight, Deontay “The Bronze Bomber” Wilder (33-0, 32 KO’s) defeat WBC world heavyweight champion Bermane “B-Ware” Stiverne (24-2-1, 21 KO’s) via 12 round unanimous scores of 118-109, 119-108, and 120-107. Stiverne was the only man to go past round four against the 6’8” Wilder and the only man that Wilder has not been able to knock out. The boxing event was action packed throughout the night at the MGM Grand Garden Arena in Las Vegas. The crowd of nearly 10,000 fans saw a great heavyweight showdown between Wilder and Stiverne. Although Wilder landed a tremendous number of shots on Stiverne, the crowd was anxious to see Wilder knock out the Haitian heavyweight but that knock out never came, thanks to Stiverne’s iron chin. Boxing belts don’t mean much since everyone has a belt but tonight’s fight was different since the WBC heavyweight title was on the line. That’s a major title in boxing and tonight was especially historic since Deontay Wilder becomes the first American heavyweight champion since 2007 (when Shannon Briggs won the belt). Deontay’s jab was the difference maker in the fight since he was able to break through Stiverne’s guard and land at will. Wilder set up his right hands perfectly; followed by his pinpoint jabs. Stiverne did well in round 4 and in round eight when he caught Wilder with some good shots but I think those rounds were more like Wilder resting than Stiverne coming up with serious offense. Wilder banged up Stiverne pretty badly in rounds five, seven, and nine. 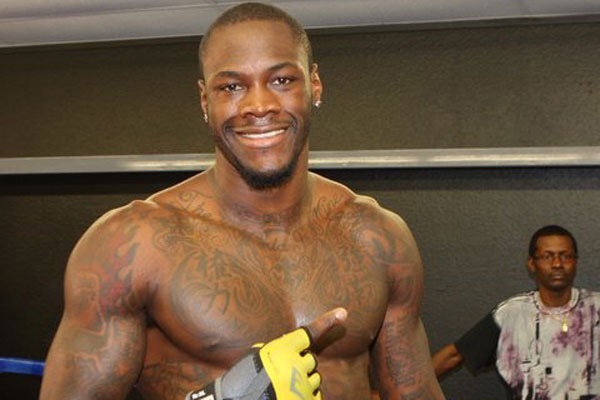 Deontay Wilder dedicated this fight to his daughter and kept his promise of bringing home the heavyweight title. Surprisingly, Stiverne was classless in defeat as he simply stated that he was not “at a 100%” as opposed to Wilder being the better man. Stiverne went on to state that if his body gave his all and Wilder still beat him, he would have given Deontay his due credit. Tyson Fury is set to take on Deontay Wilder in what would be a huge title boxing event. The 6’9” Fury would be the biggest fighter that Wilder will have faced in his career. Will size make a difference when Wilder and Fury meet? Who will be considered the favorite?